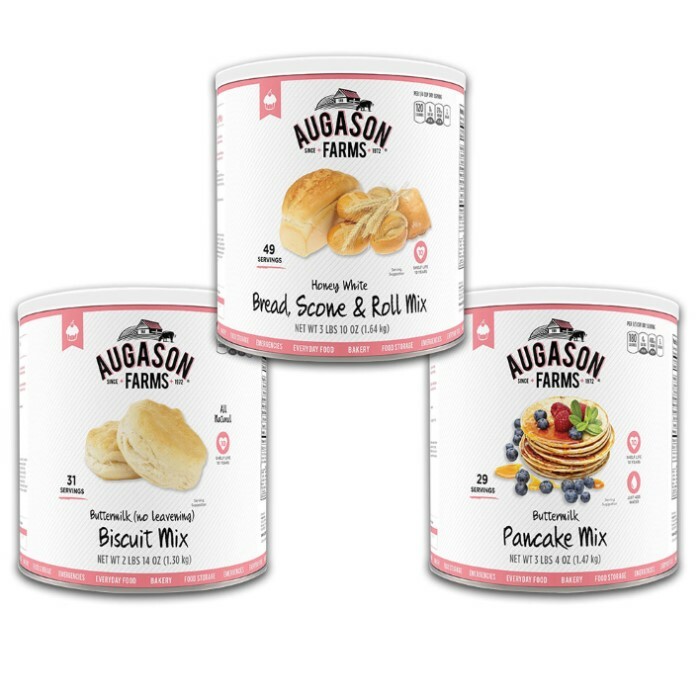 Augason Farms Bakery Kit - 3-Pack Institutional Size Cans | BUDK.com - Knives & Swords At The Lowest Prices! Nothing is more pleasing than the aroma of fresh baked goods! 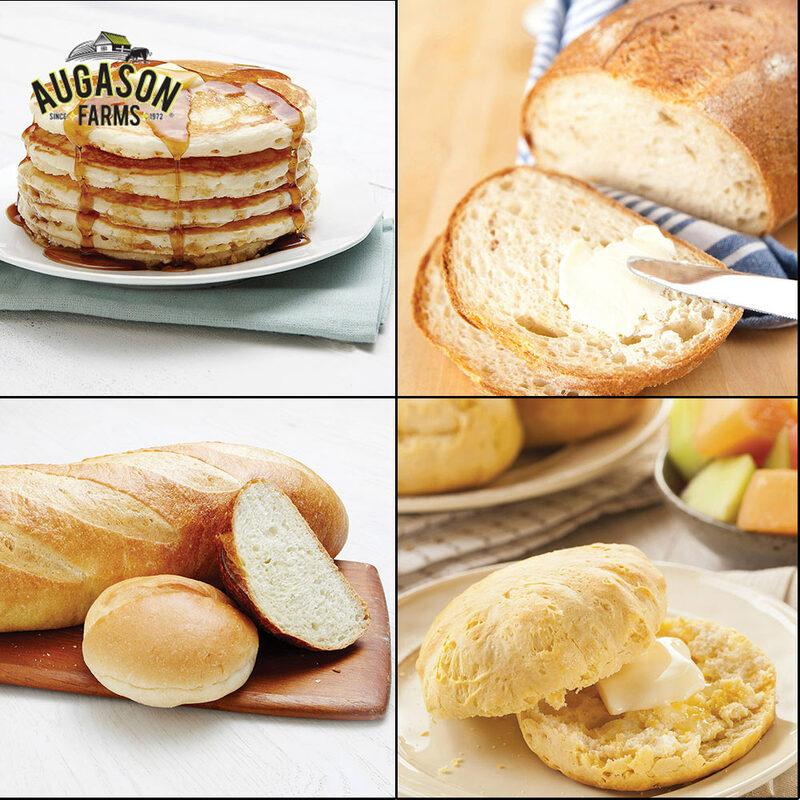 So, Augason Farms introduces its Bakery Kit, which includes favorites like pancakes, bread, rolls and biscuits. 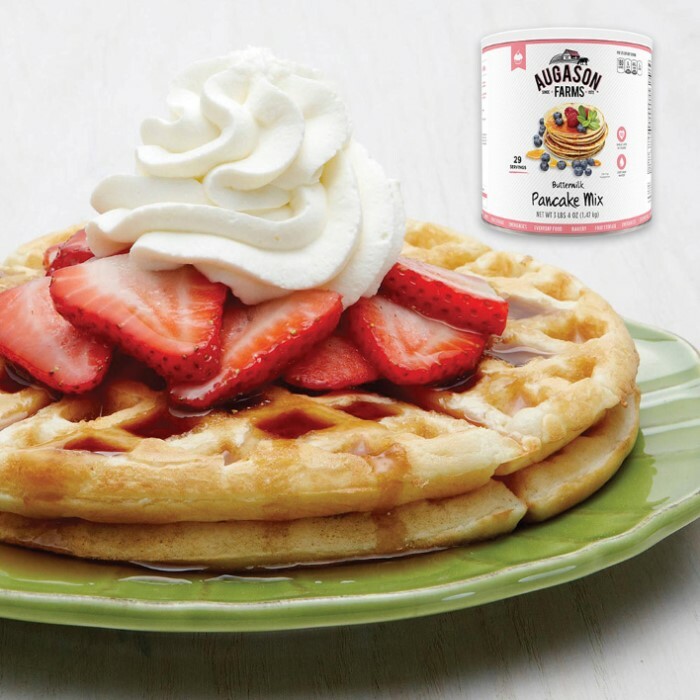 You get three institutional sized cans, which gives you 101 servings total: Buttermilk Pancake Mix, 21 servings; Honey White Bread and Roll Mix, 49 servings; and Buttermilk Biscuit Mix (no leavening), 31 servings. The cans have a 10-year shelf life and up to one year after opened, when stored in a cool, dry place. These are mouthwatering bakery items, designed for everyday use, as well as, for long term emergency food storage.